As part of The Big Anxiety associated program, performance artist Yumi Umiumare’s ‘Eco-AnxieaTEA’ Pop Up Tearoom invites contemplative audience engagements exploring eco-anxiety. 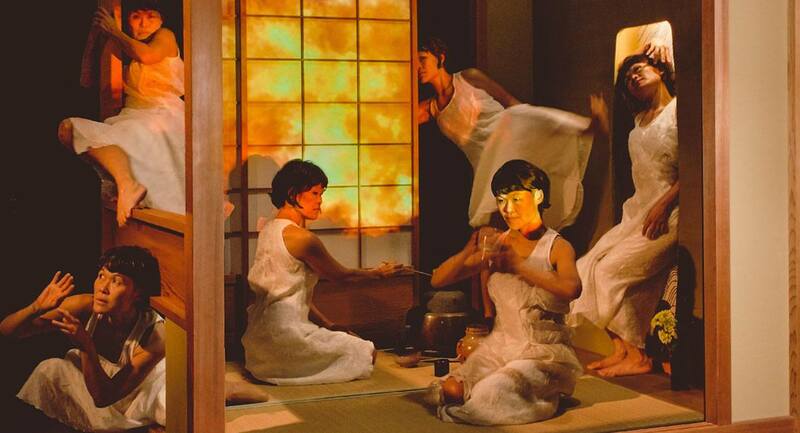 Butoh’s awareness of human suffering and existential meaningless resonates in Umiumare’s tearoom, where the calming exchange over tea stirs deep thoughts. This event is part of the exhibition Holding a Deep Breath, at the Japan Foundation.